Though Brazil’s most famous city is Rio de Janeiro, the country’s capital is actually Brasilia, which is serviced by the Brasilia International Airport. Nowadays, travel is Brazil costs around $50-75 per day. Brazilian summers occur from December to March and hold most of Brazil’s festivals, making it the best season for travel. Expect summer temperatures close to 32˚C (90ºF), with mild winters in the order of 10-15˚C (50-60 ºF). Handmade jewelry and soccer paraphernalia are classic Brazilian souvenirs. 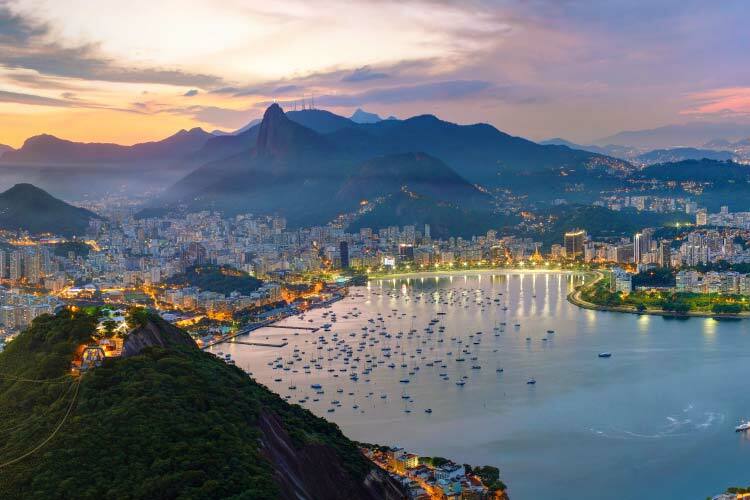 As far as tourism goes, Brazil seems to have it all: a vibrant culture, gorgeous natural surroundings, a huge selection of delectable foods, a rich history, and a strong sports following. All of these factors and more helped Brazil position itself as the most popular travel destination in South America. Though Brazil holds some of the America’s oldest archaeological sites, little is known about the indigenous peoples of Brazil. In fact, numerous indigenous tribes still exist deep in Brazil’s rainforest, some of whom have never been contacted by the outside world. While it’s unlikely that the average traveler will make first contact with an untouched tribe, Brazil does contain a plethora of small villages open to tourists, especially in the Amazon River Basin. Some of the more remote villagers receive less than a dozen visitors a year. Modern Brazilian history begins with the invasion by the Portuguese beginning in 1500. Quickly, Brazil rose in prominence as a trading centre for sugarcane and slavery. Though several other European powers fought for control over Brazil, the Portuguese steadily expanded outwards. Their conquests not only established the borders of modern Brazil, but also explains why Brazil is the only country that speaks Portuguese in the Western Hemisphere. Brazil’s most famous region, the Centre West, contains the massive Amazon River and an incredibly diverse number of plants and animals. Scientists estimate thousands of species exist within Brazil’s rainforest that have yet to be discovered. The country also features ample coastline, accentuated by mountainous terrain in the southeastern section of the country. Brazil also contains a number of island chains, most notably Fernando de Noronha. 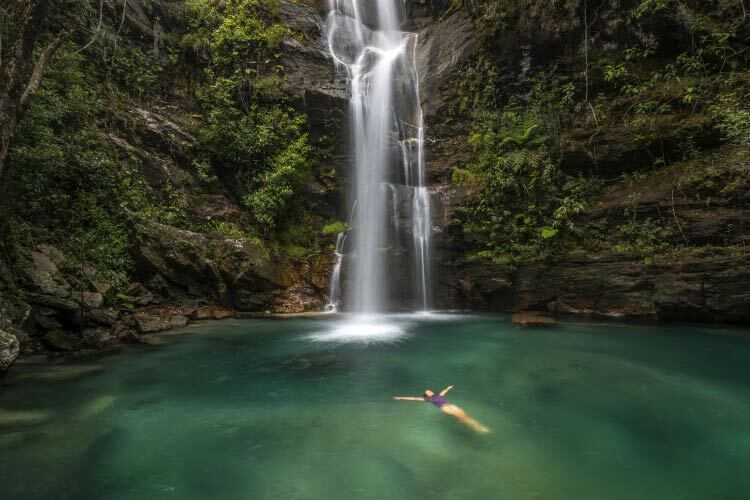 Due to the extensive range of ecosystems, ecotourism in Brazil flourishes. Brazilian food also draws numerous tourists each year. Locals consume traditional foods like rice, beans, fish, tropical fruits, and pasta in great quantities, though globalization has also introduced various ethnic dishes (especially pizza) to the average Brazilian diet. One of the most biodiverse areas in the world, ecotourism in Brazil plays a key role in the country’s travel appeal, and many travelers enjoy spending time exploring the Amazon Rainforest. Fauna of the Amazon include boa constrictors, poison dart frogs, jaguars, sloths, and a host of monkeys. Several companies operate cruise lines in the Amazon; in these programs, guests stay on a boat for a week or more, progressively moving further and further into the jungle. Regular excursions are taken to investigate the forest and interact with locals. 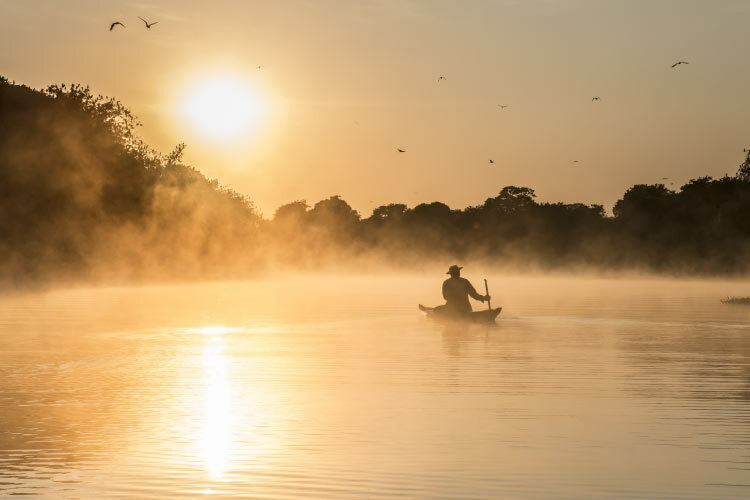 Because the area surrounding the Amazon River is simultaneously one of Brazil’s most beautiful and least accessible landscapes, taking a river cruise is a great way to safely explore Brazil’s rainforest. The coastal city of Rio de Janeiro (commonly referred to simply as Rio) receives almost 3 million foreign travelers per year, making it South America’s most visited city. The city’s most famous monument, the Christ the Redeemer statue, sits on top of Corcovado Mountain in the Tijuca Forest National Park southwest of the city centre. The Tijuca Forest currently holds the record for world’s largest urban forest. Rio’s most famous annual event, Carnival, is a massive festival held in mid-February and undoubtedly the best time to visit the city. Rio de Janeiro has also rose in prominence as a hotspot for the LGBT community, with numerous bars, restaurants and shops openly displaying support for LGBT rights. Interestingly, more than a quarter of Rio de Janeiro’s travelers cite the city’s support for the LGBT community as the main reason they chose to travel there. São Paulo enjoys a reputation as the most populated city in the Americas, with a municipal population of nearly 12 million as of 2014. As Brazil’s economic centre, thousands of people from across the world move to São Paulo every year, resulting in the numerous ethnic districts found in the city. Mooca, the Italian district, has particularly flourished in recent years. São Paulo centres around Paulista Avenue, which houses much of the city’s cultural treasures and nearly all of its financial headquarters. Paulista Avenue is regarded as the most expensive street to purchase real estate on in all of South and Latin America. 1. Belém‘s best travel destination is undoubtedly its beachfront. A stroll up the coast will not only reveal scenic vistas, but also a number of old churches, bustling docks, and quaint shops. At the far end of the beach sits Forte do Castelo, a historic fort constructed in 1616. 2. Soak up some rays at Salvadore’s popular beaches (such as Porto de Barra), then catch a show at one of the many music venues that populate the city. Salvadore’s Old Town holds a myriad of charming shops and cafes, in addition to being a UNESCO World Heritage site dotted with historically important locales. 3. There’s no better way to spend an afternoon in Brasilia than at one of the city’s numerous cinemas. The city centres around Three Powers Square, which holds Brazil’s Presidential Palace, Congress building, and Supreme Court. 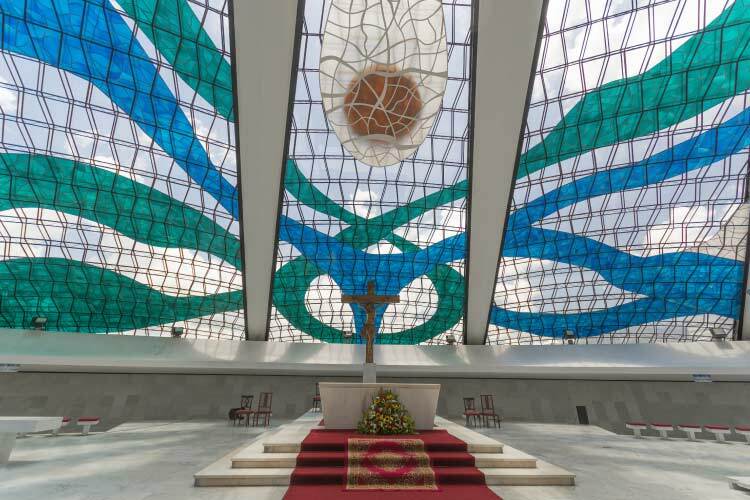 Then, head over to Brasilia’s main cathedral, a perfect example of the beauty of modernistic architecture. 4. Surrounded by both mountains and beach, Lublon rightfully earned its place as Rio de Janeiro’s most expensive neighbourhood. After exploring the beaches of the rich and famous and partying at Lublon’s infamous nightclubs, head north to the adjacent neighbourhood of Ipanema. Besides the trendy shops that surround Ipanema, a particular stretch of its beach, called Posto 9, has grown into a hotspot of countercultural activity since the 1980s. 5. 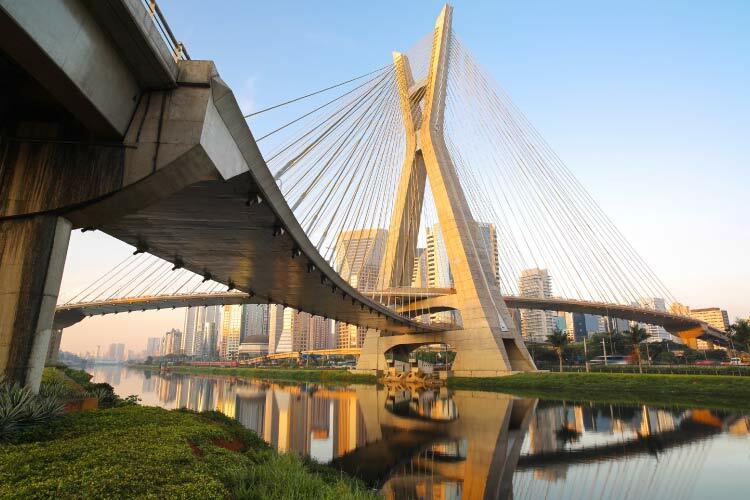 Spend some time cycling through São Paulo on the Cicliofaixa de Lazer, a 27 mile cycling path which passes through the city’s best parks and neighbourhoods. At night, try to catch a performance at one of the many local theatres; São Paulo is known for its excellent actors. Then, catch a soccer match at one of São Paulo’s many stadiums. Be ready to cheer, as São Paulians get quite rowdy during matches. 6. 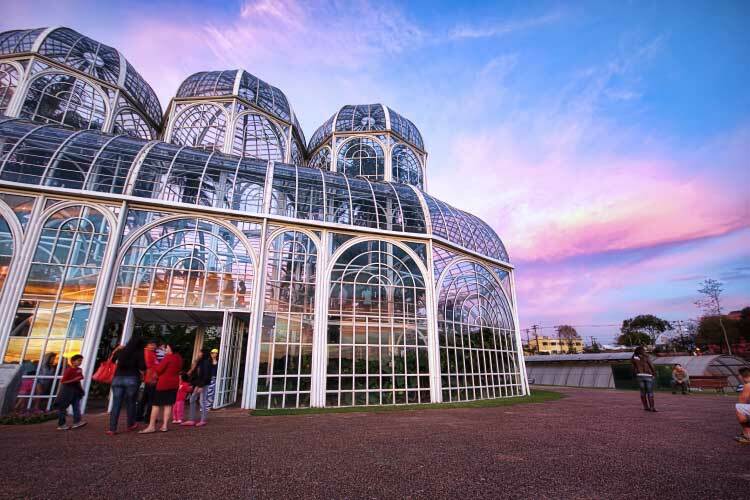 After enjoying Curitiba’s Jerusalem Fountain, Arab Memorial, and other historical sights, check out the city’s gorgeous botanical gardens. Then, check out the Farol das Cidades, the city’s enormous library. Numerous parks, including German Wood and Pope Wood, also lie ready to explore. Shown below is the beautiful Botanical Garden in Curitiba (pictured below). 7. As south Brazil’s largest city, Porto Alegre offers lots to travelers, including a jaw dropping church called Santuário Mäe de Deus that’s a bit off the beaten path. Next, spend time exploring Porto Alegre’s numerous bookshops and libraries. At sundown, head on over the Usina do Gasômetro. This refinished power plant now hosts art galleries and music performance spaces. Furthermore, people regularly gather outside the building to watch the sun set together.